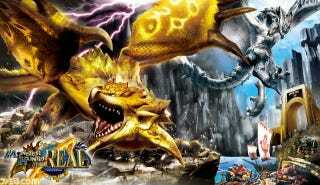 This summer, from July to September Universal Studios Japan will hold Monster Hunter the REAL 2012 in collaboration with Capcom. 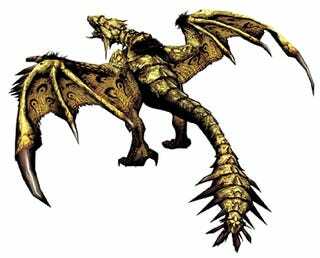 To greet you for the event, there will be a life-sized golden Rathian model, straight from the Monster Hunter series that moves and roars as though alive. Last year's event had a life-size model of the silver Rathalos. This year, the 65-foot dragon is planned to be a moving model to further give the visitors a feeling of the Monster Hunter world. Along with the two dragons, the event will have game-oriented souvenirs as well as other events.